Duxbury Romps in $50,000 He’s My Man Classic! West Palm Beach, Fl. – When Rader Racing Kennel’s Duxbury drew the eight-post position at the press conference for the $50,000 He’s My Man Classic, the people in attendance broke into applause, and for good reason. They knew something special had just happened. And they were right! Duxbury romped to an easy victory in our premier event on the 545-Yard Royal Palm Course in a stake record-setting clocking of 29.07 seconds, beating the previous record of the Rader Racing kenneled and Steve Sarras owned All-American Rob Gronkowski (29.25). Duxbury collected a cool $25,000 for her record setting victory! PJS Its All Me, Bessie Coleman and Magnus Marvel finished second, third and fourth, respectively. 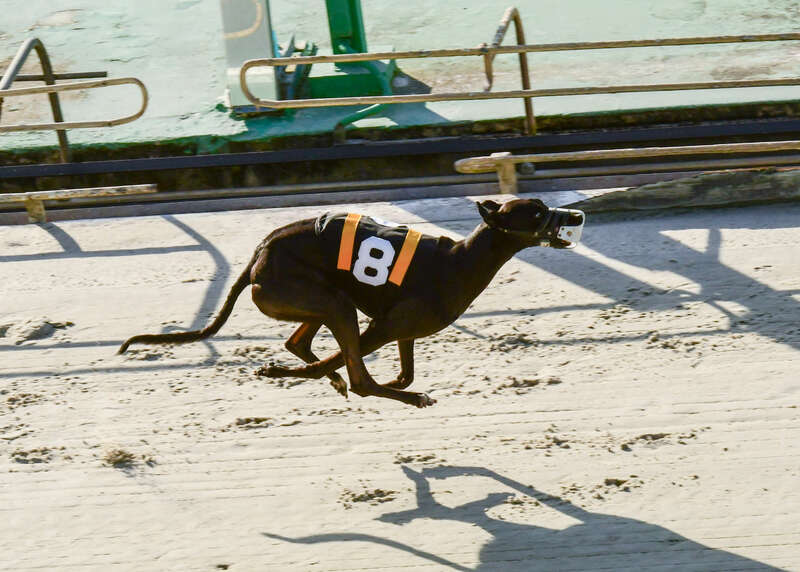 The Classic is named in honor of Palm Beach Kennel Club racing legend and the track’s first multimedia sensation He’s My Man and dedicated to the man who raised and trained “Roscoe”, Bill Pappas.